Last updated on February 19 2017. "VPSDime takes semi daily backups for their High Memory VPS plans for disaster recovery purposes. However, clients are responsible for their own data. VPSDime shall by no means be responsible for data loss." Network traffic, RAM usage, load average. There are lots of restrictions attached to those VPS but at least VPSDime is upfront about them: "If you are a target of constant DDoS attacks, do not order! Mass mailing, Torrents, TOR, Mining, IRC, Teamspeak, Starbound, Runescape, Minecraft and Multics are not allowed." The Screener shows all Vpsdime plans side by side with their grades in 5 categories. 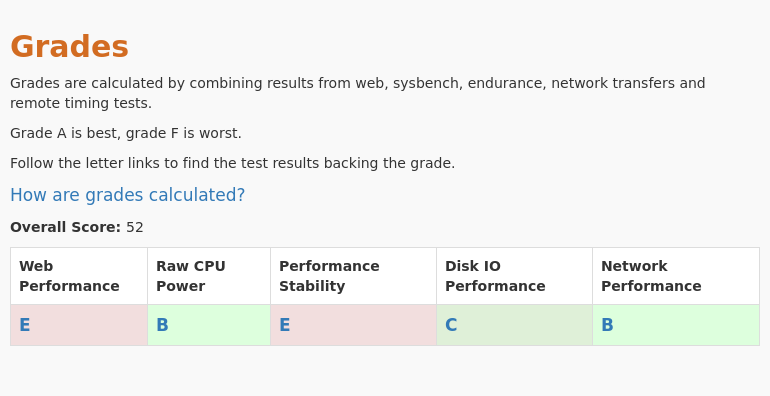 We conducted 5 different types of tests for Vpsdime - 6GB $7. Review the results and compare this plan to its competitors. This plan was tested 17 times at vpsbenchmarks.com. The table below shows all trials run on the 6GB $7 plan and the web response times for every one of those. 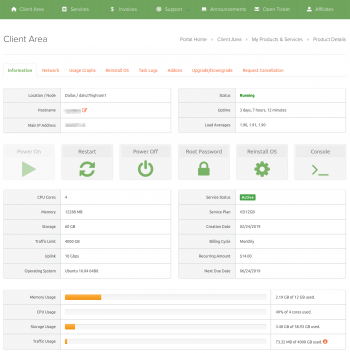 We conducted 5 different types of tests for Vpsdime - Premium 4GB. Review the results and compare this plan to its competitors. This plan was tested 3 times at vpsbenchmarks.com. The table below shows all trials run on the Premium 4GB plan and the web response times for every one of those. 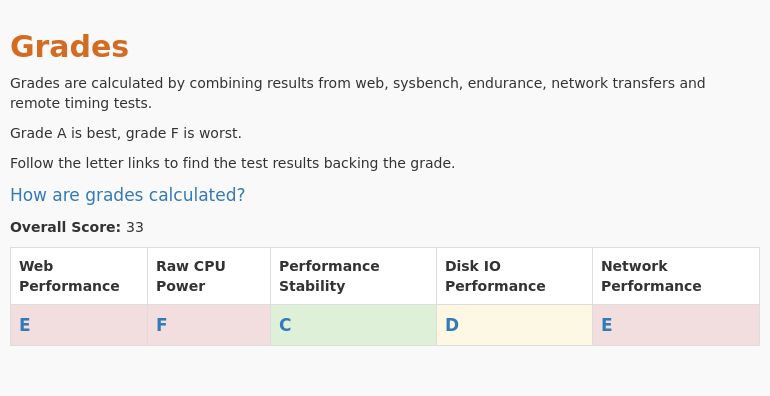 We conducted 5 different types of tests for Vpsdime - Premium 8GB. Review the results and compare this plan to its competitors. This plan was tested 2 times at vpsbenchmarks.com. The table below shows all trials run on the Premium 8GB plan and the web response times for every one of those. 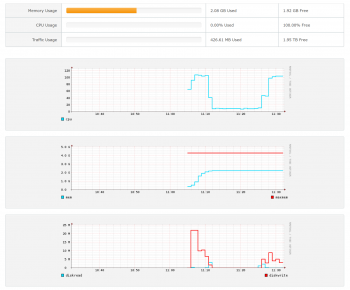 Preview: this VPS runs on Virtuozzo, which will soon be generally available at VPSDime. 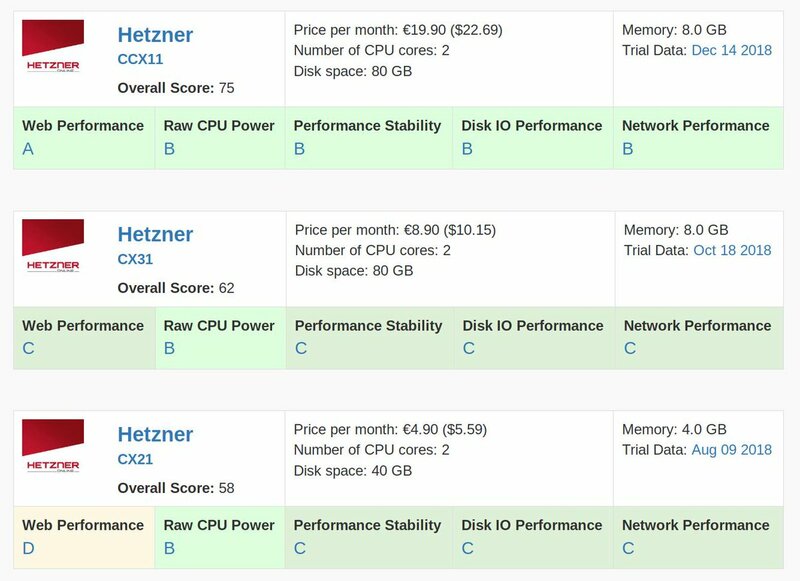 We conducted 5 different types of tests for Vpsdime - 12GB $14 Virtuozzo. Review the results and compare this plan to its competitors. This plan was tested 1 times at vpsbenchmarks.com. The table below shows all trials run on the 12GB $14 Virtuozzo plan and the web response times for every one of those.